Medea of Baghdad is a one-woman, contemporary synthesis of the dark, tragic Greek myth of betrayal and revenge written by Euripides. This modern play tells the story of an academic marrying an Iraqi refugee in Australia, and converting to his way of life, to his land, completely in love, and further, to committing crimes of catastrophic proportions. 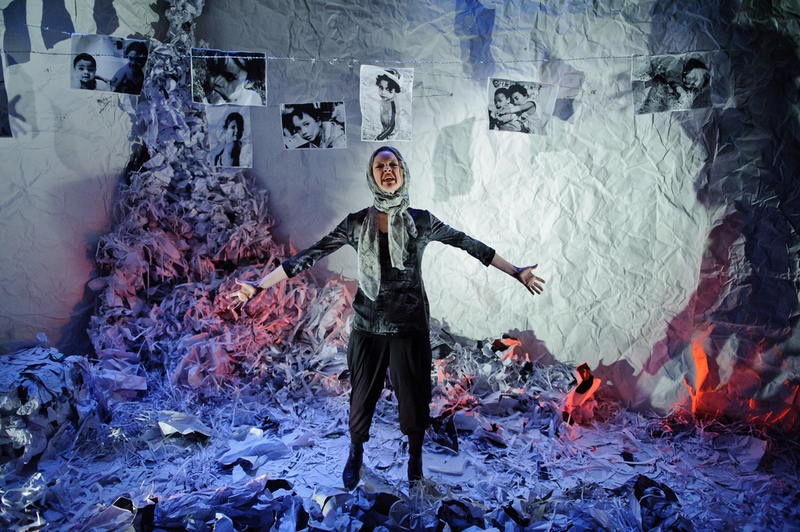 The set design is almost entirely made from paper: discarded photographic images and documents become an emotional landscape of rubble. 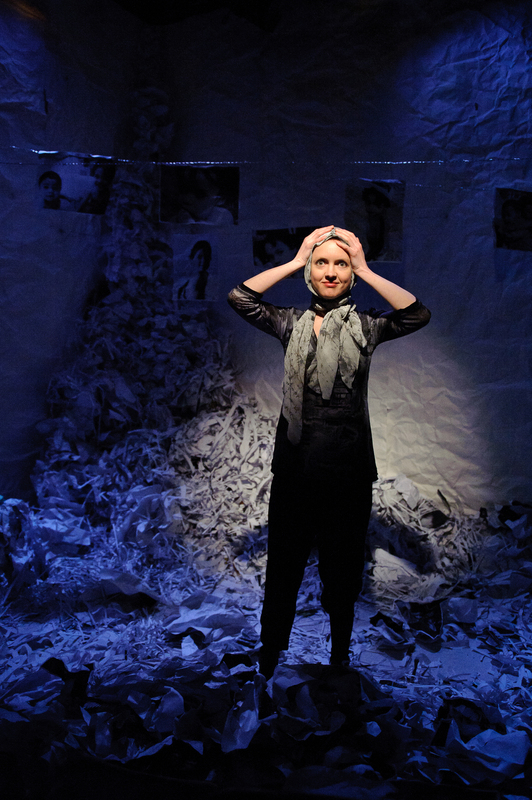 The paper rubble aims to capture the protagonist's psychological state as well as create the world of Baghdad after the American invasion. 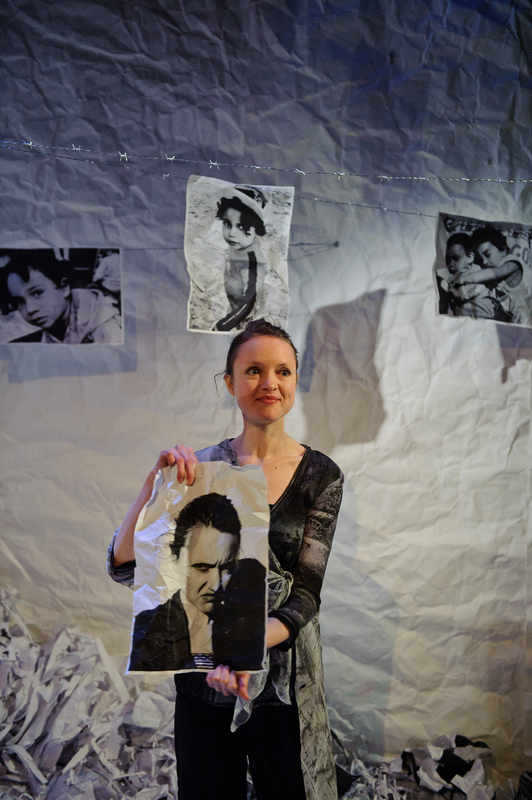 "The most striking element to this production is Tanja Beer's set design. 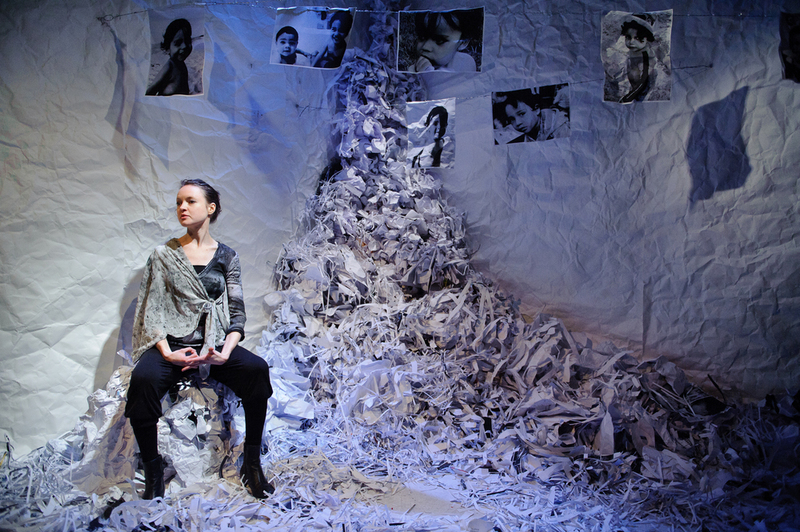 The set appears to be made entirely of paper, and erupting from a far corner of the forty-seat La Mama Theatre. It is paper in various forms lying fixed and loose, shredded, screwed up, and smoothed out, pictures of two children, pinned like clothes on a barbwire line. Beer's design, with realisation by Jennifer Tran and Nancy Nguyen, has such great presence and texture, creating a magnificent frame for Alizadeh's text, which is equally as exciting, poetic, and rich. Complemented by Nicola Andrews' lighting design, this landscape is hot, versatile and dynamic, discarded and worn. Medea of Baghdad is visually beautiful and well worth experiencing simply for its design. Cleverly interwoven with satire, this powerhouse of a play, with the right balance of creative energies, could be a 'must – see' all round." "We first meet Medea when she is a nameless, troubled young woman who is striving to share her painful story. Nation invites our sympathy quickly. She stands amidst bundles of scrap paper, and looks incapable of doing anyone any harm. 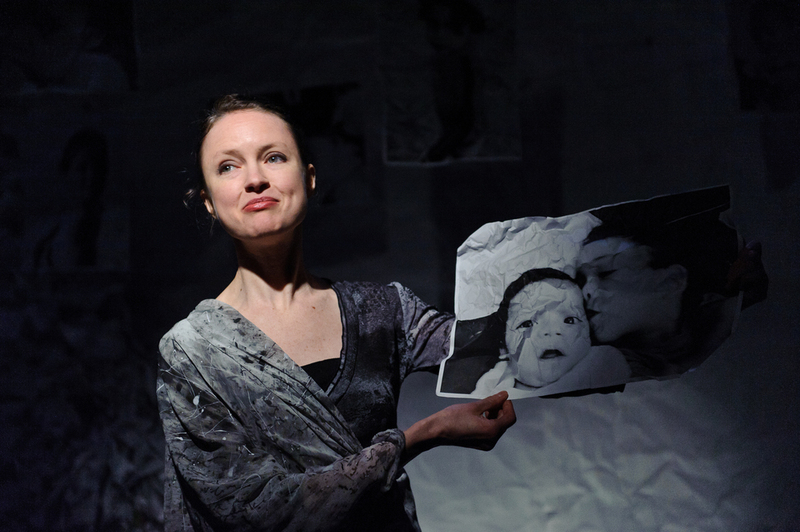 She recounts her story underneath a string of haunting photocopied images of two innocent children, whom she refers to as the "apple of my eye". We sense that her children are gone, but we don't know who was responsible, or why it happened. Medea of Baghdad is an evocative piece of theatre, and Nation succeeds in taking us with her on a journey to a dark place."